a. Amateur: One who participates in competitive DanceSport without monetary gain. Refer to Bylaw 24.
b. Dance: One of the five dances in each of the Standard or Latin disciplines for international style DanceSport competition. The five Standard dances are: Waltz, Tango, Viennese Waltz, Slow Foxtrot, and Quickstep. The five Latin dances are: Samba, Cha-Cha, Rumba, Paso Doble, and Jive. c. Event: A contest between amateur DanceSport competitor couples to discover the best couple in the dance or dances specified for that event. d. Couple: A male and a female. e. Competition: The aggregate of a series of individual events (i.e. a ball). f. Open Event: Standard, Latin or combined event, open to all amateur competitors. g. Closed Event: Standard, Latin or combined event, open only to amateur DanceSport competitors residing within a specified geographical area. h. Club Event: Standard, Latin or combined event open only to members of a specified club. i. Combined Event: Events with equal number of Standard and Latin dances. j. Special Event: An event which must comply only with Sections 3 and 4 of these Rules. k. Win: For the purpose of classifying competitors, a “win” refers to placing first in an event with a minimum of three couples. l. Invitational Event: An event that is open only to amateur DanceSport competitor couples who have been officially invited to attend by the organizers or their representative. m. Novice:A non-ranking competitive skill category that may be added to any competition at the discretion of the organizer. These Rules shall apply to all competitions sanctioned by DanceSport BC, except those events run according to the rules of CDS or WDSF. a. All amateur competitors must be registered with an association recognized by DanceSport BC, except as provided for in paragraph (e) below. b. 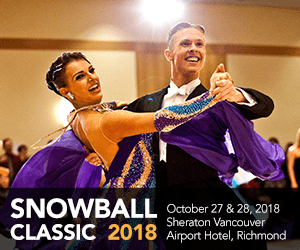 Residents of British Columbia must be registered with DanceSport BC, which will affirm that they are amateurs as defined by DanceSport BC, and will abide by rules governing competitions laid down by DanceSport BC, Canada DanceSport and the World DanceSport Federation. c. Proof of membership in a recognized DanceSport association for non-DSBC members must be made available for inspection before the competition. d. Acceptability of registration shall be determined by the DanceSport BC Board. 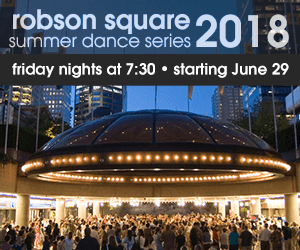 e. Amateurs who are residents of British Columbia and are competing for the first time in British Columbia shall not be required to make application for registration prior to their first competition, but must be registered prior to dancing in a second competition. i. Competition level will be applied separately to Standard and Latin events. ii. In the case of combined events, the higher competition level will govern for entrance eligibility. iii. Placings in combined or special events do not affect competition level. iv. Newcomer, Pre-Bronze, Bronze, Silver and Gold events are restricted to the appropriate Syllabus figures as published by the Association. Juvenile I: a competitor who has reached or will reach his or her 9th birthday or less in the calendar year. Juvenile II: a competitor who has reached or will reach his or her 10th or 11th birthday in the calendar year. Junior I: a competitor who has reached or will reach his or her 12th or 13th birthday in the calendar year. Junior II: a competitor who has reached or will reach his or her 14th or 15th birthday in the calendar year. Youth: a competitor who has reached or will reach his or her 16th, 17th or 18th birthday in the calendar year. Under 21: a competitor who has reached or will reach his or her 16th to 20th birthday in the calendar year. Adult: a competitor who has reached or will reach his or her 19th birthday or more in the calendar year. Senior I: One partner must have reached or will reach his or her 35th birthday or more in the calendar year. The other partner must have reached her or his 30th birthday or more in the calendar year. Senior II: One partner must have reached his or her 45th birthday or more in the calendar year. The other partner must have reached her or his 40th birthday or more in the calendar year. Senior III: One partner must have reached his or her 55th birthday or more in the calendar year. The other partner must have reached her or his 50th birthday or more in the calendar year. Senior IV: One partner must have reached his or her 65th birthday or more in the calendar year. The other partner must have reached her or his 60th birthday or more in the calendar year. i. In order to compete in a given age group, at least one member of the partnership must qualify for that group according to the above age definitions. The other member of the partnership may be younger provided always that any competitor entering an Adult event must qualify for the Junior II age category or higher. In the Senior age categories both members of the partnership must qualify for the given age group according to the above age definitions. ii. Juvenile I and II age groups may be combined together into one event. Similarly, Junior I and II age groups may be combined together into one event. In either of these cases, any couple who qualifies for either one of the two age groups being combined together will be considered as qualifying for the event. It is recommended that this combination occur only if there are less than 5 couples registered in one of the events. iii. Juvenile I, Juvenile II, Junior I, Junior II, or youth events of the same level may be run on the floor concurrently, but judged separately, provided always that no more than two different age groups are combined, and provided always that the number of couples from each age group does not exceed four. d. any couple who qualifies for the Youth age group may also compete in Under 21 and Adult events. v. An individual may compete in up to two different age groups with different partners, provided always that the partnership qualifies for those age groups as described by these Rules. vi. Note of clarification: For competitions held outside of the jurisdiction of DanceSport BC, competitors are advised to consult the governing rules, age definitions and restrictions of the jurisdictions holding such competitions. b. A dance floor must have a wooden surface and minimum dimensions of 60 feet by 35 feet. Non-wooden or smaller floors are not permitted unless authorized through prior written approval from the Board. e. Lifts are not permitted in any Standard, Latin, or Ten Dance Competition. A lift is defined as any movement during which one of the dancers has both feet off the floor at the same time with the assistance or support of the partner. f. Follow Spotlights may not be used in any competitive event except during solo dances, where they must be used in such a way as to illuminate each and every couple in the same way. i. When DanceSport competitors are divided into two or more heats, the heats must be randomized for each dance. ii. When a round of an event is divided into two or more heats, the same music must be played for all heats of the round. iii. There must be a minimum of 20 minutes between the rounds of an event. iv. There must be a minimum interval of 60 minutes between Standard and Latin events of the same age category. v. The required duration of competition for the Waltz, Tango, Viennese Waltz, Slow Foxtrot, Quickstep, Samba, Cha-Cha, Rumba, and Jive shall be a minimum of one minute and thirty seconds and a maximum of two minutes. The required duration of competition for the Paso Doble shall be as a minimum up to the second highlight and as a maximum up to the third highlight. Notwithstanding the foregoing, the Chairperson of Adjudicators may extend the maximum duration if in his or her opinion a longer duration is necessary for a fair adjudication of a dance event. i. Newcomer category dancers in each division (ie Standard or Latin) are automatically promoted to Pre-bronze after their second competition (whether in Newcomer or a higher category) in that division. ii. Points will count towards the level at which the competitor was rated at the time the points were earned, with the exception of points earned in Championship events, see iii) below. iii. Points earned in Championship will automatically promote a dancer to Prechamp with zero points unless such a dancer is already rated at Prechamp or higher, in which case points earned will be added to the dancer’s then current rating. A separate set of Championship points will be awarded and maintained for the purposes of Appendix 3.
iv. Points earned during the events of a competition will be tallied and promotions from one level to the next will take place only after the competition has concluded. v. Points earned in Senior events will be tallied in independent groups, and will be kept separate from points earned in Adult events. Points earned in Senior events will not affect an individual’s Adult rating. At the conclusion of a competition, if any competitor is rated lower in a higher senior age category than they are in a lower adult or senior age category, they will automatically be promoted in the higher age category to the same rating as in the lower age category. For example, Senior I ratings will be increased as required to match adult ratings, senior II ratings will be increased as required to match senior I ratings, and senior III ratings will be increased as required to match senior II ratings. vi. Novice events do not earn ratings points, and are open to all athletes ranked Prechampionship or lower in their respective division (Latin or Standard) at the age level in which they are competing. Costumes are optional. c. Competitors may not compete in events rated lower than the level at which they are currently ranked. d. Each individual competitor will only be allowed to dance at two consecutive levels in each division within a given age group in a DanceSport competition sanctioned by DSBC with the exception that competitors may also compete in Novice events, or in Championship events held at the same DanceSport competition but sanctioned by another jurisdiction, namely CDS or WDSF. iii. No member may as a result of such a drop be rated below the Silver competition level (ie. a Silver-rated member may only drop to Silver with no points). The Board shall consider and rule upon any such application at the first regular Board meeting after the application is received by the Secretary. iv. All rating drops granted pursuant to this Rule are given on a conditional basis and shall be subject to a subsequent review by the Board in accordance with Rule 6(e)(v) below. v. Notwithstanding that a rating drop may have been granted by the Board, the Board shall, upon completion of the first BC competition by the new partnership, review the competition results of such new partnership at a regular Board meeting held after such competition for purposes of determining whether the rating drop granted met the principles of fairness and may at its discretion: (i) extend the review period to include additional competitions, (ii) re-adjust the level for the new partnership, or (iii) give final approval to such rating drop. The decision of the Board following such review shall be final and non-appealable by the partnership. f. A competitor who has not competed anywhere for a minimum of four (4) years may apply in writing to the Board for a demotion to a lower competition level. g. No points will be awarded for participation in Club Events, Invitational Events, or Novice events. Club, Invitational, and Novice Events are required to comply only with Sections 3 and 4 of these Rules. i. Adjudicators (including the Invigilator and Non-Voting Chairperson of Adjudicators) observing any infractions must mark a “D” against that couple’s number. All “D’s must be transferred to the Scrutineer’s sheet and pointed out to the Chairperson of Adjudicators, who must warn the couple of their infraction and inform the other adjudicators and the invigilator before the next round. ii. For a first infraction in a semi-final or earlier round, the couple must receive a warning, but if the infraction is repeated in a subsequent semi-final or later round, the couple must not be called back in that dance. iii. Adjudicators observing any infringement in the final round must place the couple last in that dance and mark “D” beside their number. If a couple receives more than one “D” in any dance, they must be demoted to last overall in that dance. If this occurs in more than one dance, the couple must be disqualified from the event, and receive no placing. This Rule applies during the final round regardless of whether or not there have been previous rounds of competition. iv. In the case of a tie, the couple with the least infractions shall be placed higher. i. The couple of which the said competitor is part, shall be disqualified from that event, and will lose all ratings, rights and benefits, including championship titles, of their placing in that event. ii. All couples in the final round placing lower than the disqualified couple shall be elevated accordingly in the standings, and shall be entitled to all ratings, rights and benefits, including championship titles, of that elevated placing. iii. The Association’s records shall be corrected to reflect the revised ratings, rankings, and championship titles. c. Couples who fail to perform any scheduled dance for an event in which they are entered for the full length of the dance shall be disqualified from that event. a. All competitors will be required to adhere to the dress regulations as set forth by the Canadian Amateur DanceSport Association (CDS). These regulations will be made available to competitors through the DSBC website, and will be sent out to competitors by regular mail upon written request and receipt of a self-addressed postage prepaid envelope. b. Ratings representatives appointed by the Board who are in attendance at DSBC sanctioned competitions shall make a note of any dress code violations and any corrective measures taken at the competition, and inform the competitor of any such violation. The Board shall maintain an up to date list of all dress code violations. c. Competitors found to be in repeated violation of the dress code will be subject to disciplinary action at the discretion of the Board, which may include but shall not be limited to (i) a letter of warning or reprimand or (ii) disqualification from participation in one or more upcoming competition(s). a. Events involving seven or less couples may be run as a final or include a semi-final at the discretion of the Promoter. b. Events involving eight or more couples must have a semi-final. c. In any event which has a semi-final, a maximum of eight couples may be called back for the final round. d. The Chairperson of Adjudicators, in consultation with the organizer, shall determine the number of couples who should be elevated to the next round provided always that at least fifty percent (50%) of the competing couples taking part be so elevated. e. The order of couples in the solo dances of the final round must be chosen by random selection manually or by computer under the supervision of the Chairperson of Adjudicators. a. All competitions must have present a Presiding President and two Ratings Representatives, except where this requirement is waived or altered by the Board. The Presiding President and Ratings Representatives will be appointed by the Board. b. The Presiding President is responsible for monitoring the competition to ensure that all rules set out herein are followed for all sanctioned events, and has authority over all aspects of these events exceeding that of all other persons, including the Chairperson of Adjudicators, the Organizer, and the Promoter. c. The Ratings Representatives are responsible for observing compliance with DanceSport BC dress regulations, and when needed for assisting the Presiding President with the monitoring of the competition floor. a. Adjudicators must be qualified by examination in the type of dance, Standard or Latin, that they are judging. ii. An amateur that has been recognized by the WDSF as being qualified to judge. b. Names of adjudicators will not be available before the date of the competition. c. A minimum of five adjudicators will be required for each classification of competition, except by other specific agreement between the Promoter of the competition and DSBC. d. Amateur judging should be permitted under the rules of the WDSF, that is, DanceSport BC amateurs should be permitted and encouraged to qualify as WDSF -licensed adjudicators if they wish to. Any other initiative regarding amateur judging should be given a lower priority than amateur teaching initiatives because amateur teaching initiatives hold the greatest promise for increasing the number of dancers in B.C. e. In the final round of an event, Adjudicators may not tie two or more couples in any one or more dances. f. Adjudicators are under no obligation to justify their adjudication of competition couples. g. Adjudicators may not discuss any competitor’s performance with that or any other competitor, or with any spectator, except in his or her capacity as the Chairman of Adjudicators until the final conclusion of a competition. i. No Adjudicator may judge a competitor to whom that Adjudicator is related by blood, marriage, or with whom that Adjudicator cohabits. For the purposes of this Rule, a blood relation is a member of a person’s immediate family, a grandparent, or a grandchild. j. One adjudicator must be appointed as the Chairperson of the Adjudication Panel. v. The Chairperson of Adjudicators shall be responsible for determining the number of couples to be elevated to the next round of competition, in compliance with competition rules set out herein. i. The Invigilator must have the same qualifications as an adjudicator. ii. The Invigilator must watch only for syllabus infractions, and not be responsible for calling back couples or placing them in order of merit. a. A scrutineer must be appointed and must hold a valid Scrutineer’s qualification recognized by DanceSport BC. d. All scrutineering sheets shall either be written in ink or printed. f. All alterations shall be initialled by the scrutineer and Chairperson of Adjudicators. g. No one may scrutineer at an Event in which a competitor to whom that person is related by blood or marriage, or with whom that person cohabits, competes or proposes to compete, unless that person and such competitor both obtain prior authorization in writing from the organizer and DanceSport BC. For the purpose of this Rule a blood relation is a member of a person’s immediate family, a grandparent, or a grandchild. a. Special events shall not exceed the number of recognized amateur events in any competition. b. If a promoter holds more than one event in any given category, i.e. Bronze Latin, they will both be considered special events and the results will not count. a. Any person competing in a competition run under the jurisdiction of any recognized amateur DanceSport association will refrain from fraternizing with any judge, scrutineer, invigilator, or other official of that event from the beginning of the event until the conclusion of the final awards ceremony. A “competition” is the aggregate of a series of individual events. “Fraternize” means to associate in a close way that exceeds behaviour consistent with the performance of one’s duty, good manners or common courtesy; to engage in substantial communication. b. Couples have to accept the number card as issued and are not allowed to tamper with or reduce the size of the number card. c. Competitors shall wear full competition costume for the presentation of awards.